"Based on true acts of courage"
Director Peter Berg took on an important task when he brought a heart-wrenching true war story to life. Starring Mark Wahlberg, Ben Foster and Eric Bana, the movie is filled with action, violent war scenes and suspense. It is not for the faint of heart. 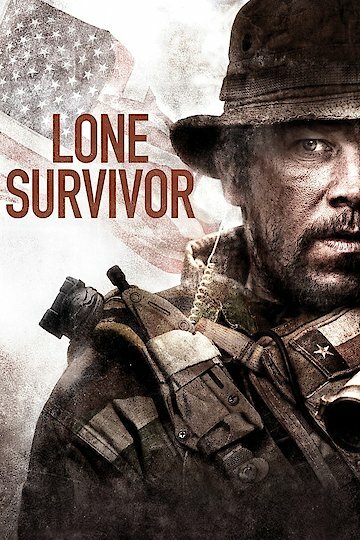 Lone Survivor is based on the true accounts of a failed mission that took place on June 28th in 2005. The mission, known as “Operation Red Wings”, was assigned to a SEAL team of four who were sent to take out Ahmad Shah, a known leader of the Taliban. While they proceeded with bravery and skill, they fell under attack and were trapped deep within enemy borders. The mission was compromised. The only member of the team to survive the attack and manage to keep from being captured by the enemy was Marcus Luttrell, played by Wahlberg. Luttrell is in an unimaginable hell as he fights to stay alive and free from capture. With the enemy all around, he must find the strength to live and to tell the story of what happened. Lone Survivor is currently available to watch and stream, download, buy on demand at FX+, Vudu, FandangoNow, iTunes, YouTube VOD online.